An anniversary went mostly unnoticed earlier this week, the 206th anniversary of Marbury v. Madison, a landmark decision of the early United States Supreme Court. I was reminded of this by a good essay in the current issue of Newsweek. You can find it here. When conservatives attack the Supreme Court, or the federal courts in general, their reasoning usually is derived from a fundamental disagreement with the Court's ruling in this long-ago case. Many, though by no means all conservatives, favor a legal system more like Great Britain's, where even the highest court in the land is subordinate to the legislature. That has not been the American system for 206 years, but some conservatives have enormous capacity for resisting change. I've often said that the conservative penchant for personal Constitutional interpretation is derived from the Protestant Reformation's tenant of personal Biblical interpretation. That may be okay for religion, but it doesn't work for law. The Newsweek article also makes this point: "...for besieged congressional Republicans, the history of the embattled Federalists is ... instructive: the Federalists' position as unyielding opponents of Jefferson's administration led to their extinction as a political party." This is either brilliant or insane, I can’t decide which. 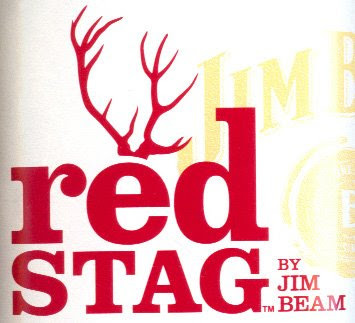 Jim Beam has a new product called “Red Stag by Jim Beam.” The label says it is “Kentucky Straight Bourbon Whiskey infused with natural flavors.” The flavor in this case is black cherry. It is 80° proof (40% alc./vol. ), like white label Jim Beam. I suspect he is referring to Jacob’s Well, a bourbon Beam introduced about 10 years ago, touted as “the first micro-distilled bourbon.” The idea was to capitalize on the micro-brewery craze. There was only one problem. “Micro-distilled” wasn’t just marketing fluff, it was a flat-out lie. Beam had finessed “Small Batch” by honestly explaining that it referred to selection and bottling, not distillation. “Micro-distilled” was just a howler, no way around it. The product quickly failed and I think Beam learned from that experience. Jacob’s Well aside, Beam doesn’t make many mistakes, so although my first reaction to Red Stag was negative, I resolved to keep an open mind. Abraham Lincoln is reputed to have said, about a book, “if you like this sort of thing, this is the sort of thing you will like.” There is some of that here. If you strictly drink whiskey straight, don’t even think about trying Red Stag. If, however, you like whiskey cocktails, or whiskey-based liqueurs, you might go for this. The black cherry flavor is very good, very rich, much better tasting than the Philips Union cherry-flavored whiskey that came out a few years ago. Black cherry is my favorite Life Saver flavor, so I like Red Stag. Although not classed as a liqueur, it put me in mind of Wild Turkey’s American Honey. It is not a similar flavor, but the same kind of beast, and probably something you would drink on the same kind of occasion. As a whiskey drinker, I probably would dial back the black cherry a little bit to let more of the whiskey taste come through, but I suspect the target audience will be glad it tastes the way it does. It is not as cloyingly sweet as most liqueurs. Right now, I’m enjoying Red Stag on-the-rocks with a little Stirrings orange bitters. Manhattan-ish, it is a drink I will have again. The risk is that Red Stag may confuse further a consumer who is already uncertain about what different kinds of spirits really are, but I like it when producers take risks. Therefore, if you like this sort of thing, give Red Stag a try. We keep saying the spelling of whiskey doesn't matter, yet we keep writing about it at great length. So does it matter or not? How one spells whiskey doesn't matter because that's all it is, a spelling difference. It is one word that may be spelled (or spelt, if you're British) in either of two different ways. The way one spells it tends to depend on where one lives. In good writing, about the only rule is pick a spelling and stick with it. This is all very normal, as there are dozens of English words with more than one acceptable spelling, and that is how writers and editors handle it. As there tend to be American and British spellings (the British spellings being generally followed in all English-speaking countries except the USA), it's also good form to pick one or the other spelling family and stay consistently within it. Therefore, if one uses color, maneuver and center, one should also use whiskey. The problem is caused by people who refuse to follow logic and instead advocate a silly, awkward, inconsistently-applied, imaginary rule that says how you spell whiskey depends on the whiskey's country of origin, and when you are talking about all whiskey or whiskey generally, you have to use some really stupid and awkward formulation such as "whiskey and whisky" or the dreaded "whisk(e)y." You also have to violate the consistency rule by switching between spellings if your discussion spans several types. Then you have the problem of a handful of American producers who label their products "whisky." The reason all this matters is because the country-of-origin spelling rule leads people, a lot of people, to believe that the two spellings are actually two different words with different meanings. Then those people dream up all sorts of imaginary reasons for the split. They repeat imaginary tales about frugal Scots omitting the "e" to save ink. People falsely link the spelling to the type of still used, usually defaming American whiskey in the process. They imagine non-existent international laws designed to protect the integrity of the one true "whisky," as if the absence or presence of a solitary "e" is such a powerful thing. Their reasoning is logical if a trifle obsessive. If there is such a rule, they figure, there has to be a reason for it, so they try to intuit what that reason might be. It matters because it perpetuates the myth that single malt scotch isn't just a type of whiskey but is the only true whiskey, and must therefore be spelled "whisky." They actually believe that all lesser whiskeys are required to bear the "e" as a mark of Cain. The Scotch Whisky Association (notice how I respect the chosen spelling of proper names) doesn't exactly say this, but they do contribute to the problem by insisting that their product always be spelled "whisky." The question of bourbon whiskey versus Tennessee whiskey is related, but different. The awkwardness there is that a product must meet certain legal requirements to be called "bourbon whiskey" while the law is essentially silent as to the meaning of the term Tennessee whiskey. The producers of Tennessee whiskey (there are only two) define it as bourbon that goes through an additional step of charcoal filtering before aging. Many people mistakenly believe that this step disqualifies the product from being called bourbon. That question has never been reached and I, personally, consider the proposition dubious. The fact is that the producers of Tennessee whiskey simply prefer that term, as they think it makes their product distinctive. There are now in place international treaties that prevent the importation into the United States of any foreign-made product purporting to be either bourbon whiskey or Tennessee whiskey. Could someone make Tennessee whiskey in Colorado? They could try, but I suspect the owners of Jack Daniel's and George Dickel would raise a mighty stink. They would argue that Tennessee whiskey describes both a style of whiskey and a place of origin. Presumably, if another producer wanted to open a distillery in Tennessee to make whiskey the same way Jack and George do, that would be okay. As with the spelling of "whiskey," the problem here is that people imagine all sorts of reasons why Daniel's and Dickel cannot be called bourbon, all of which are false. If you tick off the rules for bourbon or, for that matter, straight bourbon, the Dickel and Daniel's products meet every single one. That leaves another little issue. Why do I always spell Tennessee with a capital "T" but generally spell bourbon with a lower case "b"? Aren't they both place names? The best way I can explain it is that "Tennessee whiskey" still uses Tennessee as a place of origin while "bourbon whiskey" does not, as bourbon whiskey is not made in Bourbon County. Although the term has its root in a place name, it no longer is used as a place name when describing whiskey. A good way to think of it is that while "whiskey" and "whisky" are one word with two spellings, "Bourbon" and "bourbon" are two different words that happen to be spelled the same way, with one being a place name and the other not. If you think this is a lot to write (and read) about something that isn't important, then don't read it, and certainly don't waste everybody's time by writing about how it's not important. This is one of those subjects about which a lot of nonsense is written. The true facts need to be on the record, and now they are. The differences between Tennessee Whiskey and Bourbon Whiskey are similar to the differences between "whiskey" and "whisky," in that there is much less to both of those dichotomies than most people think. I recently revisited the whiskey/whisky thing here and here. Similarly, people will sometimes get all high-and-mighty about how Jack Daniel's isn't a bourbon, and it isn't, but as a practical matter the difference is merely technical. For all intents and purposes, Jack Daniel's and George Dickel are bourbon in all but name. If they taste different, it is because each maker crafts a slightly different flavor. Those differences in flavor have nothing to do with them being a different type. The primary effect of the charcoal filtering process used in Tennessee is to jump-start the aging process. Many bourbon makers say it removes too much flavor, but that is inside baseball. It is fair to debate that point, but it is still a very small difference. Tennessee Whiskey is very much within the profile of Straight Bourbon Whiskey. As far as the whiskey in the bottle goes, there is no practical difference. The fact that both Jack and George have very little rye in their mash bills probably has more to do with their similarity than the Lincoln County Process does, and the fact that modern Dickel was created in imitation of Jack has more to do with their similarity than does their type designation. It is also similar to the whiskey/whisky delineation because it is one of those essentially trivial issues that ignorant people pontificate about and newbies agonize about unnecessarily. Whiskey/whisky is two different spellings of the same word. I say you're welcome to pick one and stick with it. Likewise, "bourbon whiskey" versus "Tennessee whiskey" is a distinction without a difference. Also like the spelling issue, the Tennessee/Bourbon thing creates myths, some quite persistent, about what the real differences are. Many people think whiskey and whisky are two different words, not just different spellings of the same word. Likewise you hear all sort of rumors, usually about Daniel's and almost always false, based on the fact that the whiskey isn't bourbon. It also leads to people assuming that bourbon must be made in Kentucky, also false. I am one of those people who believes that Jack and George could be labeled "straight bourbon" if they wanted to be. Reasonable people can disagree about this, but that is how I interpret the regulations. You're welcome to have an opinion, but an acquaintance with the facts might be helpful in formulating it. Just a suggestion. As you will discover, "straight bourbon whiskey" has a lot of requirements under the law. Jack and George meet every single one of them. "Tennessee whiskey" has no requirements, except the very limited ones to merely use the term "whiskey." So, in that sense, the regs are irrelevant. A lot of people make assumptions about why Dickel and Daniel's aren't labeled as bourbon and all of those assumptions are wrong. They aren't labeled as bourbon because they choose not to be. There are other terms about which the same thing is true, such as Kentucky whiskey, Alabama whiskey, and Small Batch whiskey. The regs are silent as to all but the term "whiskey." Conecuh Ridge, by the way, is careful not to use the term "Alabama whiskey," even though it is Alabama's official state spirit. That's because it is made in Kentucky. Here is what happens when a young company tries to look old. Spencerfield Spirit, a four-year-old company, has gone a long way to link itself to an 18th century Scottish-American distiller in order to promote two novelty scotches from the 1960s and 70s. In the process, they have created a dubious new historic claim, declaring James Anderson to be "The Father of American Whiskey." What we have here is a perfect example of how history often is corrupted, or at least subverted, for marketing purposes. Spencerfield Spirit, founded in 2005, has its headquarters in a house, built in 1510, at Spencerfield Farm in Scotland. There was a distillery on the Spencerfield Farm estate as early as 1795 and there were distilleries around there in the 19th and 20th centuries as well. There is no distillery there today and the new Spencerfield company’s products are made elsewhere; many elsewheres, actually, since they are both blends. James Anderson was born near Inverkeithing, Scotland, in 1745. Spencerfield is also near Inverkeithing. Anderson was a tenant farmer and farm manager who probably did some distilling too. He left the area in 1791, at the age of 46 with a wife and seven children, to escape an economic depression caused by a crash of the Scottish whiskey market. They migrated to Virginia. The Andersons had their own farm and James also took work as an estate manager. On January 1, 1797, he landed the plum job of George Washington’s plantation boss at Mount Vernon. The farm already produced a lot of grain, so Anderson thought a distillery would be a good way to add value. Washington approved and the distillery was very successful. It recently was reconstructed on the original site and is open to the public. All of that is well-documented and sound history, but from that Spencerfield has concocted the title for Anderson of "Father of American Whiskey." Presumably, the claim is derived from the honorific, "Father of His Country," that is often applied to Washington. However, there is nothing in Anderson’s story to suggest that he was the father of anything except his seven offspring. He missed being America’s first distiller by about 150 years. Mount Vernon wasn’t the first distillery in America, it wasn’t even the first to make whiskey, and it wasn’t the first to make any particular kind of whiskey. The only historically supportable claim for the distillery being exceptional is that it may have been among the largest distilleries of its day. Even Spencerfield concedes that it was a distillery very much like the distilleries Anderson would have seen in Inverkeithing. None of this is intended to belittle James Anderson, whose accomplishments are what they are. It’s just that the only reason anyone knows about James Anderson is because he worked for George Washington, and making whiskey for the father of our country does not make him the father of American whiskey. This is the kind of thing that starts out as seemingly harmless marketing fluff and winds up in history books, at least in badly-researched history books. The reason for connecting Anderson to Spencerfield in press releases timed to coincide with last week’s President’s Day holiday was to promote Spencerfield’s two blended scotches, Pig Nose and Sheep Dip. They have their own rich history, of being popular in the 60s and 70s but falling out of fashion. They’re both perfectly good whiskeys, but were always sold on the novelty of their names more than anything else. in 2005, Alex Nicol and Jane Nicol formed Spencerfield Spirit, and secured the rights to the Pig Nose and Sheep Dip names. They got Whyte and Mackay master blender James "The Nose" Patterson, who is promoting a book right now, to recreate the blends for them. To give their young company some borrowed historical cred, the Nicols linked it to the whiskey heritage of Spencerfield, which had nothing to do with those two whiskeys. This year they are championing James Anderson, a son of Inverkeithing, which gives them a tie-in with Mount Vernon so they have something to market against each President’s Day. The story has so many great hooks it got picked up everywhere and the press release usually ran verbatim, unlike here. It has a certain artfulness to it except for one thing. James Anderson is not The Father of American Whiskey. 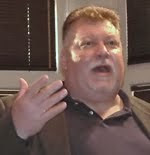 In addition to reducing ticket prices, John Hansell has just announced that WhiskeyFest Chicago is being scaled back. Although he doesn't say by how much, they are "cutting back slightly on the number of tickets we sell." Putting the best possible face on the situation, which is obviously being driven by the recession, he says this will create a "more intimate" experience. True enough. I remember when it began and was smaller. For me, the biggest inconvenience in recent years has been that most of the seminar rooms fill up fast and if you come in late, you probably won't get a seat, let alone a taste of whatever they are sampling. At the peak of the evening, even the tasting hall can get shoulder-to-shoulder. The bad economy may also reduce the number of scene-makers in favor of real whiskey enthusiasts, but that may be wishful thinking on my part. Although Hansell's announcement doesn't mention this, the number of tickets they make available is related to their contract with the venue, things like how much food they buy, maybe even how much of the available ballroom space they use, how much hotel staff they need, things like that. So it is a real number. If sales turn out to be stronger than expected, they can't just add tickets at the last minute. There comes a point, and this may well be that point, when they have to commit and take their chances. So, are you planning to attend? I'll be there. Eric Asimov in his New York Times column, The Pour, started it this time around. John Hansell voiced his approval and I offered my contrary view. Since then, also predictably, Kevin Erskine has weighed in on the side of the status quo. If you go back and read my post last week about this, be sure to read the comments. Davin de Kergommeaux points out that spelling whiskey according to where the whiskey is made makes about as much sense as spelling and distinguishing between "tires" and "tyres" also based on country of origin. The main justification for the traditional approach is that it is the traditional approach and a matter of respect. The main argument in favor of change is that the traditional approach leads inevitably to the mistaken belief that "whisky" and "whiskey" are actually two different words with two different meanings. Where snobbery comes in is that almost everyone who erroneously maintains that they are two different words is a scotch snob. One very unintended side effect of Barak Obama's election has been the national attention Illinois is getting about the sorry state of our politics and politicians. It was kismet last night that I accidentally switched on CSPAN just as Roland Burris was beginning his speech yesterday at Chicago's City Club. They weren't showing it live, but at the stroke of midnight. Like the train wreck it was, I couldn’t look away. If Rod Blagojevich is an extreme example of the type, RoRo "The Real Roland" Burris is more typical, a mediocre hack politician and what passes, in Illinois, for an honest one. The room was full of them. Sweet Eddie Burke introduced Burris and Mean Paul Green was the MC. RoRo did some shout-outs. It was a real rogue’s gallery. Burris had this bad speech, which he read badly, about what he has "learned" in his five weeks in the Senate. About two-thirds in he went off-notes, launched into some spirited shout-outs, hit a couple of his mausoleum highlights, then launched into his self-defense, all in the old black preacher-politician cadences of the sixties. As he always does these days, he invoked his civil rights era bona fides, seemingly unaware that they are not protecting him and he is debasing those accomplishments by using them in this tawdry affair. "You know the real Roland." That was a good laugh line, but this one was better. "I will continue to be transparent." He is all of that. May I suggest, to paraphrase Denny Green: "I am who I thought I was." Then as a kind of coda, he went back to reading, poorly, his prepared speech, even though it continued along the self-defense lines. He said he would no longer discuss the controversy surrounding his appointment with reporters. After that came the Q&A, audience questions read by Paul Green. It was funny because Green just dropped in questions about RoRo’s "issues," sprinkled in among the bland inquiries about public policy, ending it with one that Burris refused to answer. Burris is in over his head. His colleague, Senator Durbin, on a fact-finding trip to Greece and Turkey, and after consulting the Oracle of Delphi, made a short statement. In it, he urged Burris to get some professional advice, as Burris is so clueless. Things are breaking bad for Durbin too, when he should be giddy as the new president's main man in the Senate. Instead, Burris has become Durbin's special ball and chain. Congresswoman Jan Schakowsky (my U.S. Rep) is another one. Now she has some hair-brained idea that new Gov. Quinn can pull Burris and call a special election under the 17th Amendment. She wants the Senate job herself, but shouldn't, as the spotlight will spin onto her and she will have to talk about her convicted felon husband. They're all from the same nest and considered good government types by Illinois standards, so they're genuinely surprised by how unflattering the national spotlight can be. I propose a Truth and Reconciliation Commission. Isn't confession supposed to be cleansing or healing or something? Who wants to go first? On Saturday, I had my first look at Kentucky's newest whiskey distillery, Charles Medley Distillers Kentucky, conveniently abbreviated for us as CMDK. I posted this from there, on Saturday night. The distillery is in Owensboro, Kentucky, an Ohio River town in Daviess County (pronounced "Davis") in Western Kentucky, about 40 miles upriver from Evansville, Indiana, and about 120 miles downriver from Louisville. CMDK is a new name, but it refers to the family that owned the place from 1940 to 1559, and operated it until it fell silent in 1991. Charles was the last Medley there, as an employee. He bought the plant after it closed, hoping to reopen it, but never could. In 2007, he sold it to Angostura, the company you may know for their Angostura bitters. They are, in fact, a big distiller of rum, vodka and other spirits, based in Trinidad and Tobago. In recent years they have been buying distilleries all over the world, including in Scotland and France. Daviess County produced its last bourbon in 1991, when this plant closed, but it once was one of the big distilling centers in Kentucky, on both sides of Prohibition. The first distillery on this site, near the river just west of downtown, was built in 1885. There were other distilleries on two of the adjacent lots. As with the Ripy family in Anderson County and the Beam family in Nelson, most distillery operations in Daviess had a Medley in them somewhere. Most old timers in Owensboro continue to call this place Medley Brothers, the name it bore from 1940 to 1988. It was run by the five Medley brothers. Charles is the son of Wathen Medley, whose first name is actually the surname of another prominent Kentucky whiskey family from Louisville, the Wathens, that merged with the Medleys through marriage. During Prohibition, the Wathens operated the largest consolidation warehouse, in Louisville. It was called American Medicinal Spirits (AMS). After Prohibition, AMS was the core of what became National Distillers. The Wathen/Medley clan is one of the first families of bourbon. Charles, the plant's last Master Distiller, was at Saturday's event and is consulting with the new operation. Most of the buildings, including the warehouses, are red brick, but they have two steel clad warehouses, which are being at least partially reclad. The warehouses need a lot of repair work inside too. Warehouses are important because they are where the barrels of whiskey age. To rebuild the interiors, they are getting ricks from the Lawrenceburg, Indiana, distillery Angostura also owns. The first CMDK new make whiskey may be entered into barrels in 2009, but I wouldn't bet on it. Whenever it happens, it will be several years after that before it is fully aged and ready for sale, so don't expect to see any whiskey from this distillery on the market before 2014. Derek Schneider, the plant manager, says they're trying to achieve a good balance of tradition and modernity, although I don't think he used the word "modernity." About half of what they need to get the distilling part going is there, the rest will be new. They need new milling and grain handling, many new fermenters (Charles sold all of the cypress ones to Maker's Mark years ago), new boilers and a new beer well. The old mash cookers are still good, as are the beer still and doubler. They need all new modern process controls. They're investing about $25 MM in the restoration. It would appear that they are planning to get tourism going about the same time they get distilling going. They aren't going to wait until they have some product to sell. The refurbished distillery as currently envisioned will have a capacity of 2,000,000 proof gallons per year. Schneider is an interesting guy. He is currently a Lieutenant Colonel in the Army Reserves. He spent 10 years on active duty as an Armor/Cavalry Officer and has been 12 years in the reserves as a Civil Affairs officer. He has been to 27 countries including 4 tours in the Middle East (Desert Storm and Iraq). He managed 75 reconstruction projects in Iraq including rebuilding 32 schools, 8 water treatment plants, 2 bridges over the Tigris River and numerous other public buildings. He was also a UN Peacekeeper. He currently teaches at the Command and General Staff College at Fort Knox. He plans to retire from the Army this year to devote full time to making whiskey. The distillery has a web site, here. "Here" is Owensboro, Kentucky, an Ohio River town in Daviess County (pronounced "Davis") in Western Kentucky. I am attending (or, rather, just left) the Owensboro Rotary Foundation's Bourbon Heritage Celebration and Valentine's Day Dinner Dance. Then I spotted Tom Fischer of Bourbon Blog. Tom is an earnest and indefatigable bourbon documentarian. If bourbon is being consumed in a public place, Tom and his camera are there. It was nice to see him. Then I spotted Eric Gregory, the new president of the Kentucky Distillers Association (KDA), and met his number two, Kristin Meadors. I don't know Kristin's exact title, but she is KDA's other employee, representing a 100 percent increase in personnel since Ed O'Daniel's tenure. Eric and I talked a little about Kentucky's recent decision to become one of the highest tax states in the country for alcoholic beverage consumers, despite Kentucky's status as the leading producer of America's native whiskey. The new sales tax primarily burdens consumers, but it's like a spit in the eye to Kentucky's whiskey producers. As Eric said, "that's no way to treat one of Kentucky's signature industries." He told me that he recently was in Frankfort and in one room, lawmakers were planning incentives to attract new industries to Kentucky, while in an adjacent room lawmakers were making plans to tax one of Kentucky's best existing industries to death. Okay, but I could have done all this on the phone. Why am I here? I came because this event, albeit primarily a fund raiser for the local Rotarians, is the first time Angostura, the new owners of Charles Medley Distillers Kentucky (the new name, conveniently abbreviated for us as CMDK), has let the public in to see what they're up to. The party was held in the old bottling house, which is slated to be the new visitors center. It's a nice space that comfortably held the 250 guests. They had a display of some CMDK hats and t-shirts, to represent where the gift shop will be. When I drove in there was a nice, new sign, and three lighted flag poles. So far, that's about it. No one offered to show me anything other than the space we were in, and I'm confident that's because there was nothing else to see. I spent a few minutes with Derek Schneider, the Plant Manager, who is overseeing the refurbishment now and will run the place when it opens. He said it has been slow going and they hope to be fixing up the still house in earnest by fall. Roof repair has taken a lot of attention, as almost every building sustained roof damage in Hurricane Ike last fall. I'll have more details from my chat with Derek later. Trust me, there's no rush. Maybe the first CMDK new make will be entered into barrels in 2009, but I wouldn't bet on it. So, all that was good, but worth a 7+ hour drive from Chicago? Then I sat down for dinner and providence put me next to Dan Medley, whose father, John, was one of the five brothers who ran the Medley company back in the day. He was wearing an official Medley Kentucky Colonel tie, one of the distillery's trademarks in its heyday. (The five Medley brothers would wear nothing else.) He told me his family had researched the history of the distilling industry in Daviess County and determined that it had once contained 150 licensed whiskey distilleries. Maybe, before too long, it will have one again. Keep your fingers crossed. Woodford Reserve Master Distiller Chris Morris was also there as a special guest. Chris was at Glenmore after it merged with Medley but before it merged with what is now Diageo, as the brand manager for bourbon, which is the long way to say he worked there when Glenmore owned CMDK, which was the last time CMDK made whiskey. He gave a nice speech about Prohibition and its aftermath, but the speech was a bad idea. The lighting and sound were unsuitable, and the crowd was restless. They were ready to dance. They did. I left. I looked around for Chris, but I suspect he was already halfway to Louisville by then. Malt Advocate Annouces Lower Ticket Prices for WhiskeyFest Chicago. The good folks at Malt Advocate realize that today every dollar counts, but they still want you to come to WhiskyFest Chicago and enjoy yourself, and they also don't want you to miss a single issue of Malt Advocate. So, they have decided to reduce the WhiskyFest Chicago regular admission ticket price to $95 (a $20 savings) and include a complimentary one-year subscription to Malt Advocate for anyone buying a ticket (an $18 value). WhiskeyFest Chicago is on Wednesday, April 1, at the Hyatt Regency in downtown Chicago, from 6:30 PM to 9:30 PM. I know that seems like a long time from now, but it always sells out, so don't wait too long. If you already bought your ticket at the old, higher price, they'll give you a refund on the difference. If you've never been, here's the drill. With your admission, you get a glass. The hall is full of booths from different whiskey producers: Scottish, Irish, American, Canadian, and Japanese. You go from booth to booth and taste the whiskeys. The list of participating whiskeys is here. If you want to, you can also go to presentations by various speakers. That list is here. There is also food, pretty good food and plenty of it, definitely enough to qualify as dinner. Like most things that cover the whiskey waterfront, WhiskeyFest Chicago is scotch-heavy, but there is so much to taste that you can limit yourself to American whiskey and still have plenty to do for the event's entire three-hour duration. My Favorite Liquor Store Is Closing, One Week From Today. It isn’t going out of business. It lost its lease. The store is closing at its present location and does not have a new one, so after next Friday, who knows what will happen? The closing won’t affect me much, because I seldom get to shop at my favorite liquor store, it being 800 miles from here. My favorite liquor store, closing on Friday, February 20, is LeNell’s. It has served the Red Hook section of Brooklyn for the last six years. Red Hook is one of the oldest sections of Brooklyn, the New York City borough at the tip of Long Island across the East River from Manhattan. The Dutch were there first and named the place "Roode Hoek" in 1636. By the 1850s it was one of the busiest ports in America. Long a bare-knuckled neighborhood of docks, dockworkers and dockworker bars (think Marlon Brando in "On the Waterfront"), it gave us Al Capone and gave him the wound that earned him his nickname: "Scarface." LeNell’s is my favorite liquor store because of its proprietor and namesake, Tonya LeNell Smothers. LeNell is one of those people for whom the expression "force of nature" was coined. She is relentlessly active and unfailingly cheerful, but in the languid manner of her Alabama youth. Her store feels like and is a spontaneous extension of her personality: friendly, idiosyncratic, personal, funny, cozy, and welcoming. She emphasizes the wares of small, family-owned producers. And she has a thing for American whiskey. The store is one large room. Merchandise is displayed in old bookcases, wardrobes, barrels, and wash tubs. It almost always is LeNell herself working the register and helping the customers. When she isn’t at the store, she is often in one of the neighborhood bars, extolling the virtues of American whiskey, as both straight drink and cocktail ingredient, even though bars are prohibited from buying at stores. The business benefit is indirect, occurring only when the bar’s customers need a retail source. Mostly she does it because talking about drinks, drinking and drinkers is something she loves to do. LeNell’s is a small store with a big reputation. It was recently named, for the third consecutive year, the best non-chain whiskey retailer in the USA by WHISKY Magazine. LeNell is actively looking for a new home for her store. In the meantime, she is finishing a book, going to Europe, and doing some bartending (her vocation in the 1980s). I predict, without joy, that LeNell will become the toast of Europe, like Josephine Baker in the 20s, and never return. She will do something great, that’s for sure, and I can’t wait to see what it is. New York Times Buckles To Pressure From Scotch Snobs. In fact, I'm usually in the minority on most controversial issues, which is why I wasn't surprised to see John Hansell congratulating Eric Asimov because Asimov got his editors at the New York Times to let him spell whiskey without the "e" when he writes about scotch or Canadian whiskey. Asimov writes a drinks column for the Times called The Pour. His piece about the spelling issue is here. The posted comments are worth reading too. Asimov's jumping off point is that words and what they mean matter, but as one of the comment posters, named Dennis, points out, the issue isn't meaning, it's spelling. Then another poster, named Alex, disagrees with Dennis, wrongly asserting that "whiskey" and "whisky" are two different words with different meanings. Dennis is right and it matters because Alex, and many other people like him, mistakenly believe "whiskey" and "whisky" are "two different words with two distinct meanings" when they are not. They are just two of the many words (e.g., aging, center, color, maneuver) that our two great English-speaking nations spell differently. The exception would be that when stating the proper name of a specific product, the word will be spelled the way that producer spells it, and also be capitalized as befits a proper name (e.g., Johnnie Walker Scotch Whisky). The extremists in this debate hold that 'whisky' describes single malt pot still spirit only. All other (and, in their view, lesser) wood-aged grain spirits take an 'e.' As a partisan of American whiskey, I believe that disrespects our unique whiskey-making tradition. This issue usually can be relied upon to stir up a tempest in a tumbler, so let's have at it. The first reports came from upstate New York, then California, Massachusetts, Florida, and Arizona. Other states quickly followed. If this can happen in Tennessee and Kentucky, it can happen anywhere. No place is safe. After the change, they look exactly the same. They sit exactly where they always did. Nothing looks different, so there is no reason to suspect. You don’t have a clue that anything is wrong until it is too late. This has happened before but our technology is better now. We can detect it much sooner, get the word out much faster. But still not in time. It probably cannot be stopped. It is The Invasion of the Bourbon Snatchers. The latest victim? Ten High Straight Bourbon whiskey. It is now Ten High Bourbon – a Blend. When did this start? The granddaddy of all switcheroos happened more than 20 years ago, when Early Times changed from straight bourbon to Kentucky whiskey. Changes aren’t always so drastic. Wild Turkey is still straight bourbon, but it dropped its eight-year-old age claim more than a decade ago. Age claims have disappeared from many other brands since. A few years ago, Wild Turkey introduced a ten-year-old bourbon called Russell’s Reserve, at 101° proof. Then they reconsidered, changed the bottle, and cut the proof to 90°. In 2004, an internet fire storm erupted because Jack Daniel’s cut the proof of its flagship No. 7 brand from 86° proof to 80° proof. A proof cut is a small thing. Yes, you get a little more water and a little less whiskey, hence less life-giving alcohol, for the same price. Yes, it is a rip-off, but a small rip-off. Similarly, a dropped age statement may mean no discernible change. It just gives the producer more flexibility about how they match the taste profile. The Ten High change is different. The alcohol level stays the same but instead of being 100 percent 4-year-old whiskey, it is now half whiskey, half vodka. Since vodka doesn’t have to be aged, the new Ten High is much cheaper to make. Those savings are not passed on to you, the consumer. Now, in fairness, Ten High was already cheap. It was four-year-old straight bourbon that cost less than most vodka. It is still cheap, but now it is half vodka. Why is this happening? Because straight bourbon is very popular right now and there is only so much of it to go around. The straight bourbon originally intended for Ten High is now too valuable to sell that cheap. This change makes Ten High itself cheaper to make and, therefore, more profitable as they also free up 4-year-old straight bourbon to sell at the much higher prevailing market price. It is a gift that keeps on giving because all of the bourbon in the pipeline that was intended for Ten High in future years can be diverted too. We could begrudge producers these changes, attack them as victories of cheapness and greed over quality and heritage, but that would be wrong. The current boom is good for everyone who loves American whiskey, because the industry is healthy and growing, in better shape than it has been for many years. The American whiskey-making regions are benefiting too from an explosion of whiskey-related tourism. These changes are all good. It is so much better now than it was. It feels good to stop fighting it. You’re the same, really, only better. There is no pain. All you have to do is shut your eyes and relax. Is there a pod in the basement with my face on it? Possible Wild Turkey Buyers Stopping By To Kick Tires. Last month, I reported that Pernod Ricard might be shopping Wild Turkey. Pernod never announced that Wild Turkey, Tia Maria, or any other specific asset was on the block. What it said was that only its core brands are sacred as it looks to raise cash to reduce the debt it assumed to buy Absolut Vodka. Pernod does not consider Wild Turkey to be one of its core brands. What nobody in New York seems to know, everybody at the distillery in Lawrenceburg, Kentucky, is talking about. According to sources there, the brand and its distillery are for sale, the expansion plans have been put on hold, and representatives of at least two potential buyers are coming by for visits in the next couple of weeks. The first, expected next week according to distillery sources, is Diageo. The world's largest drinks company is light in its American whiskey portfolio and could probably acquire Wild Turkey without having to divest itself of anything else, an attractive fact for Diageo because the industry is now so consolidated, and Diageo is so huge, that anytime it buys something it usually has to sell something else to allay the monopoly concerns of regulators, either in Europe, the U.S., or both. The other candidate is Proximo Spirits. Never heard of them? You're not alone. If you are way into spirits you may have heard of a couple of their brands: 1800 Tequila, Three Olives Vodka and Matusalem Rum. Not a lot is known about Proximo because they are new (less than two years old) and privately held. The president is Mark Teasdale, former managing director of William Grant & Sons North America. As near as can be told, they don't have any production facilities but are strictly a marketing company. They own some of their brands and, in other cases, merely own the North American marketing rights. They haven't actually built any of these brands, all of which they acquired. The head-scratcher here is how can a company like Proximo come up with enough money to buy Wild Turkey? Sources at Sazerac say they looked at Wild Turkey and found the Constellation Spirits deal a better fit and more in their price range. Constellation reported that sale was worth $334MM, so that gives you some idea of what Turkey might bring. What is more, the situation suggests that Pernod will insist on an all-cash deal, or something close. The purpose of the sale is to reduce Pernod's debt, so Pernod will not be inclined to finance the deal, as sometimes happens with corporate acquisitions. On the other hand, Proximo must be a serious contender or else Pernod would not have invited them to drop by and examine the merchandise. It should be added that none of this is official and, in fact, the official sources are claiming ignorance. Another aspect of this is that Wild Turkey is not a distressed property, which is precisely why Pernod is willing to sell it. Think about trades in sports. It's the best players who get traded, because they are worth something, not the worst ones. Pernod could perfectly well just keep Turkey and won't sell unless it can get top dollar. This uncertainty about ownership appears to have put the expansion at Wild Turkey on hold. The original plan, announced about 18 months ago, was to double the distillery's capacity, from 11MM gallons a year up to 22MM. They had a ground-breaking and have done some site preparation, but that's about it. The people at the distillery, at least, assume nothing more will happen until a new owner is in place. The same thing happened when Beam bought Maker's. An expansion plan at Maker's was delayed for several years and is still far from completed. Unfortunately for American whiskey enthusiasts, American whiskey is small beer for most of the big, international beverage companies, so the products we care about get swept up in deals that are being made for other reasons. One simply hopes that whoever buys Wild Turkey will value it more than the seller did. Last night, I poured myself some Ten High Bourbon that I had on hand, from a bottle I purchased maybe a year ago. It's still the Kentucky Straight Bourbon Whiskey version, not the new bourbon blend. It's a nice, albeit young, bourbon. It has a little bit of fire, befitting its youth, but no really harsh or off flavors, with light caramel as probably the dominant note. It's a nice, drinkable bourbon. "Fresh" was a word that came to mind, and it doesn't often occur when I'm tasting whiskey. Some bottom-shelf bourbons are 36-monthers, not Ten High. It's NAS (no age statement), so it's at least four years old. "Fully-aged" is the common euphemism. The new bourbon blend is just hitting stores now, so there is still a lot of the straight bourbon version out there. I suggest you pick up a bottle or two. It's cheap, so even if you don't like it you won't be out much. Yesterday I told you about the ongoing George Dickel No. 8 shortage. That and the Ten High demotion are related, in that they both show what happens with whiskey when unexpectedly strong demand puts pressure on supply. Since whiskey has to age, you only have the whiskey you have, no matter how many orders you receive. Both Constellation (still Ten High's owner, for now) and Diageo (Dickel's owner) want to sell the whiskey they have for as much as they can, so Diageo would rather let whiskey that could be sold as No. 8 get a little older so they can sell it as the more profitable No. 12 or Barrel Select. Likewise, as I talked about in today's earlier post, Constellation has more profitable outlets than Ten High for its fully aged bourbon. But the point of this post is to encourage you to pick up a bottle of Ten High Straight Bourbon while you still can. How long do you have? Hard to say. Because bourbon doesn't "go bad," bottles can sometimes sit on a shelf for decades. The new bourbon blend is just beginning to hit retail in New York and California, we know, maybe other places too. When your store will get it depends on how much of the old inventory they have. It might be tomorrow, or months from now. It's likely that Ten High will remain a bourbon in control states such as Ohio and Pennsylvania. In most control states, the process of getting a product listed is so arduous that companies are loath to de-list anything. Since they will have to de-list the bourbon to make the change, they might just leave it alone. Last night, for reference, I followed the Ten High with my favorite cheap bourbon, J.T.S. Brown Bottled in Bond. I still prefer the J.T.S. Brown, but the Ten High compared favorably. On Monday, I reported that Ten High Kentucky Straight Bourbon Whiskey has become a bourbon blend, at least in the state of New York. I have since heard that the switch is on in California as well. The obvious conclusion is that Constellation has decided to allocate its stock of fully-aged whiskey to more profitable distribution channels. It just can't spare enough 4-year-old bourbon to support Ten High as a 4-year-old bourbon. They can make more money by selling that whiskey someplace else. Maybe their 6-year-old Very Old Barton (VOB) Kentucky Straight Bourbon Whiskey is growing faster than expected. VOB has very limited distribution but where it is sold, including in Kentucky, it is in the same league as the big boys: Jack, Jim and Evan. Or maybe they have some desperate bulk whiskey buyers making them offers they can't refuse. They could have saved a lot more bourbon by making Ten High a straight-up blend, but this allows them to keep the word "Bourbon" on the label. Standard blends are usually four-fifths vodka, one-fifth whiskey. A bourbon blend is about half and half. I assume that Ten High, in Barton's overall mix, is high volume, low margin. They probably calculate that a price increase will cost them more business than will a cheapening of the product. That is the kind of trade-off you make in business. You don't do that to a key brand, but Ten High has not been a key brand for a long time. It's barely a brand at all. It's a commodity. Ten High has some base of loyal customers but it otherwise is sold on price, as it's frequently the cheapest bourbon in the store. Likewise in bars it is not a big call, but it is in many wells. The fact that Constellation has other channels where they can sell their bourbon more profitably means the bourbon market continues to be healthy, which is overall good news for us as straight bourbon enthusiasts. But it's still sad to see this happen, because Ten High was a major brand during the post-Prohibition golden age, and was the leading brand of Illinois-made bourbon, and because it's always sad to see a 75-year-old kicked around. Few posts on this blog have attracted as much interest and comment as this one from December, 2007. It was all about the disappearance of George Dickel No. 8 (the black label) from stores across the country, but especially in the South. Diageo, the brand's owner, admitted there was a shortage due to a four-year shutdown at the distillery. Supplies were supposed to resume in 2008 and did in a few markets, but many fans of the product are still looking for it in vain. No. 8 has long been the brand's best seller. The more expensive No. 12 and Barrel Select have not been affected by the shortage. Since the shortage began, Dickel has introduced a new product, called George Dickel Cascade Hollow Recipe, that is a three-year old whiskey. It originally had a black label suspiciously like No. 8, which was changed to red when No. 8 began to reappear. I will keep you in suspense no longer. The official word is that they only have enough whiskey to fully support No. 8 in its eight core markets, which are Alabama, Georgia, Mississippi, North Carolina, South Carolina, Tennessee, Virginia and West Virginia. This is the official answer Dickel is sending out in response to consumer inquiries. When will No. 8 distribution widen? No one knows. Not having enough product to meet demand is a high class problem for any manufacturer. That whiskey has to age for several years makes production planning a nightmare. Presumably, Dickel has more whiskey in the pipeline each year, but if demand continues to outstrip supply it could be a long time before George Dickel No. 8 Brand Tennessee Whiskey reappears at a store near you. First Blagojevich, now this. How much humiliation can Illinois take? Ten High Straight Bourbon Whiskey has been demoted to a blend, at least in some markets. Hiram Walker’s Ten High Bourbon was, in its heyday, a proud product of Peoria, Illinois. It was made there at the largest whiskey distillery in the world. Peoria, Pekin and other Illinois towns had significant whiskey industries on both sides of Prohibition. Ten High was popular as one of the better cheap bourbons. The name refers to a barrel storage location at least ten ricks high, as barrels in the upper part of the aging warehouse mature faster. It was always just a name, never an actual barrel location promise, but it was meant to communicate quality. Hiram Walker was the Detroit grocer who created Canadian Club whiskey in the 19th century, at his distillery across the border in Canada. When Prohibition ended in 1933, Hiram Walker and Sons, Inc., then owned by a guy named Harry Hatch, decided to reenter the newly-legal U.S. market in a big way. Their Peoria distillery made Walker’s DeLuxe and Ten High, both straight bourbons; Imperial Whiskey, a popular blend; and other Hiram Walker products. They had actually stopped distilling there several years before and then slowly emptied the warehouses as the whiskey in them matured. Ten High production then shifted to Kentucky. Eventually, Hiram Walker was sold for parts and Ten High was acquired by Chicago’s Barton Brands, whose obituary I wrote a few weeks ago. Recently a friend of mine in upstate New York bought a bottle of Ten High and, when he got it home, discovered that instead of "Kentucky Straight Bourbon Whiskey," the label said, "Bourbon Whiskey - a Blend." Straight bourbon is all whiskey. A bourbon blend is about half whiskey, half vodka. Some people like that sort of thing, but since vodka isn’t aged, blends are much cheaper to make. My friend was told by his whiskey monger that the straight has been discontinued. He wondered if this was some depredation by the brand's new owner, but I assured him it can't be Sazerac's fault, as that deal won't even close for another month or so. The Constellation Spirits web site still shows the only available expression of Ten High as being the 80-proof straight bourbon. So does the Binny’s web site. The bourbon is still one of your better cheap whiskeys. I can’t speak for the new blend. It seems like every time Senator Heather Steans (D-7th) sends me a legislative update, I get a blog post out of it. Since Senator Steans does a poor job of keeping her web site updated, I'm posting her most recent one, which I received via email, here. Today the sun is shining and I - like people throughout the state - am breathing a sigh of relief that we can start a new chapter. Clearly Illinois suffers from a culture of corruption that requires ethics reforms such as campaign contribution limits and greater transparency and oversight. We have an enormous budget deficit that has to be tackled. And we need a capital plan to restore our infrastructure and put Illinois residents back to work. I am confident that our new Governor, Patrick Quinn, and the House and Senate will now pull together to start the real work that needs to be done. Please call or email me if you have any questions or would like further insights into the impeachment trial. I welcome your thoughts and suggestions. Respectfully, we do not need more ethics legislation from the same people who gave us all of the previous ethics legislation, then immediately figured out how to get around it and continue to do business as usual. The current situation presents a unique opportunity for every Illinois legislator to lead by doing. What will you do to be more open and transparent about the way you conduct your own official business? What will you do to help expose the existing corrupt systems, individuals and groups of which you and every other legislator are aware? What will you do to demonstrate to your constituents that they and they alone direct your actions, even above and beyond the Senate and party leadership? What will you do to show us—-prove to us-—that this really is a new chapter and not a repeat of the last reform movement, which as you may recall was led by the now disgraced ex-governor and his running mate, the new governor? What can you say to us that we haven't heard a thousand times before? What can you do to show us you are really different? Perhaps a good place to start would be the confession of past sins. What do you think?